Tempest 16 is built for women and to be lightweight, comfortable, durable and exceptionally versatile. Tempest 16 features clean, modern design and stunning performance no matter what your adventure. 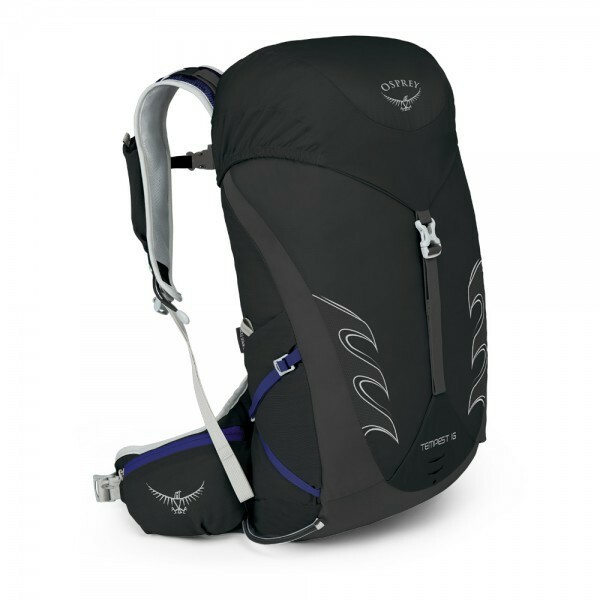 Tempest 16 is built as a versatile pack for high-energy activity designed to cling to your back like a frightened monkey. Tempest 16 is complete with innovative solutions such as Stow-on-the-Go™ trekking pole attachment, single ice-axe attachment and InsideOut™ compression straps. The zipped pockets on each side of the hipbelt allow quick and easy access to smaller items such as phone, snacks and GPS. Inside the lid you will find another conveniently placed pocket, ideal for hat, gloves and small items that you need easy access to. Keeping hydrated during activity is essential and re-filling your hydration reservoir has been made easy with the quick access external hydration sleeve with reservoir hanging loop. Tempest 16 is compatible with all Hydraulics™ reservoirs and the size Extra-Small High Vis Raincover.